Another finish for me! And another sunny day without snow! 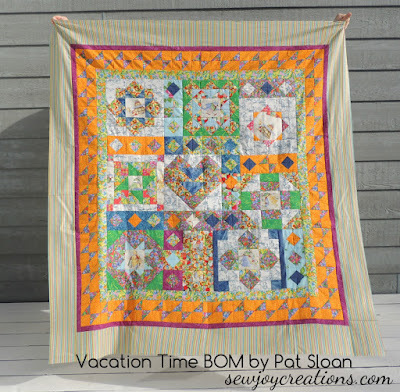 This is the Vacation Time Mystery Block of the Month designed by Pat Sloan and hosted on FreeQuiltPatterns.Info this year. It was almost a finish last night (for a Friday night finish!) but I hadn't cut the striped border fabric ahead of time and it was giving me a headache trying to lineup the repeat pattern. After making a mistake I decided to wait until morning to finish the last side. 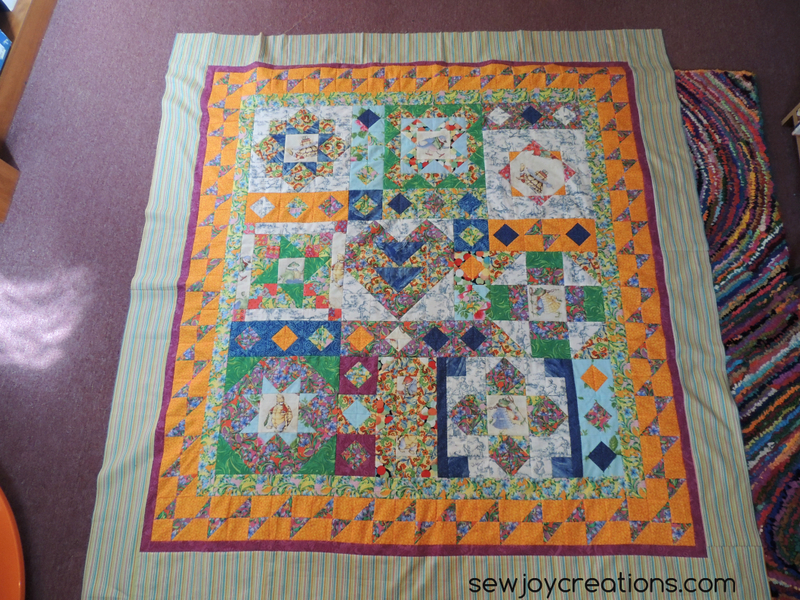 This is the top laid out in my quilting space. I had to move my desks out of the way to make enough room for it. 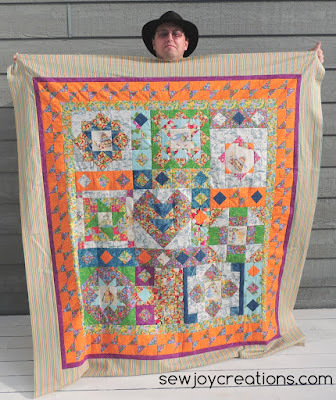 I guess it didn't register that 68 x 68 inches is a big quilt! I think this guy might be more relieved than I am that the top is together! 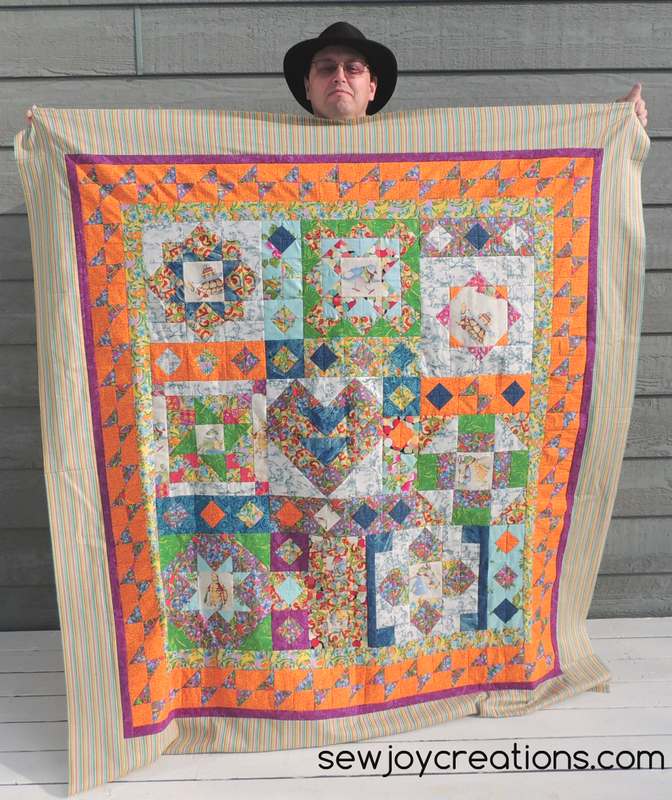 Apparently I get a little agitated focused when I'm finishing a quilt top. At least he was a good sport and held it up for me today. Thanks, hon! 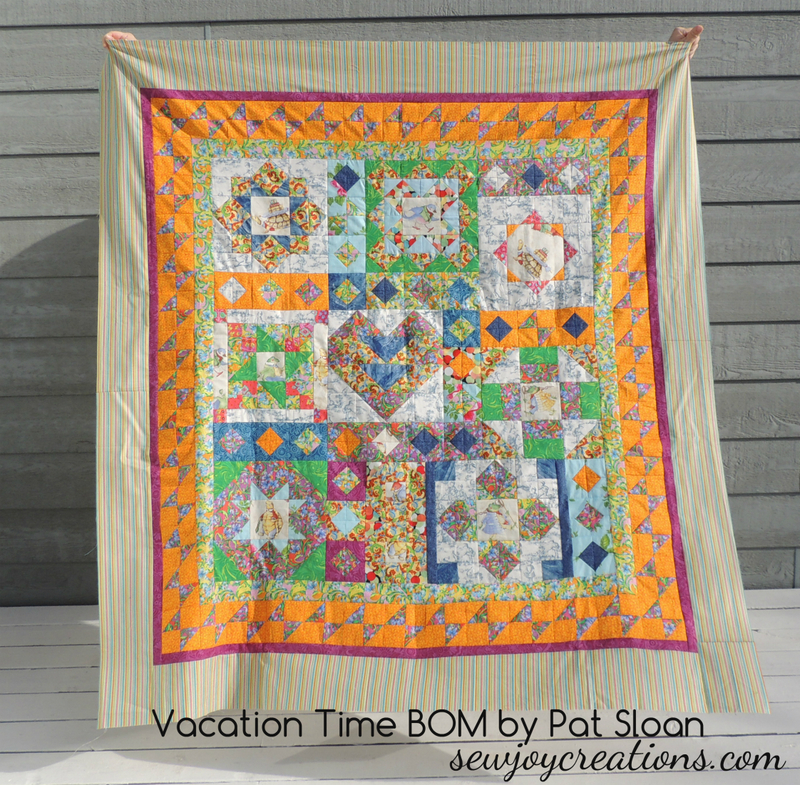 I'm adding my photo to Pat Sloan's link up post for the Vacation Time Quilt. Now that this top is finished I need to buy some batting and backing to get it quilted in time for Christmas! What are you finishing up this week? I like how the stripe fabric of the border reads as a neutral even though it has some pretty bright colors. Isn't it interesting how fabric does that?